Mr. Browning is an attorney with Browning|Hocker, representing small and large business as well as individuals in employment, insurance and business matters. He has served as a Research Attorney with the San Diego Superior Court, an associate with the law firms McInnis Fitzgerald Rees & Sharkey and Seltzer, Caplan, Wilkins & McMahon, and a partner and co-chair of the Employment Practice Group at Klinedinst PC, prior to forming Browning|Hocker. Mr. Browning earned an MBA from San Diego State University, and worked in finance, management and manufacturing prior to his legal career. He has served on the Board since 2012. Ms. Braun has a Bachelor’s of Arts Degree majoring in English from the University of Maryland and a Master’s in Business Administration from San Diego State University with a specialization in Taxation and Financial Planning. She has served on the Board since 2010. Lifesharing Executive Advisory Board. He is a former California Hospital Association Board member, former Chairman of the Board for the Hospital Association of Southern California, and past corporate cabinet Chair of the American Heart Association Orange County Chapter. Mr. Smith earned a Bachelor of Arts in Business Economics from the University of California, Santa Barbara and a Master of Public Health in Health Services Management from the University of California, Los Angeles. He has served on the Board since 2009. 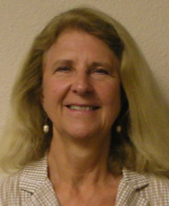 Ms. Roemer recently retired as Chief Operating Officer of Verenium, an industrial biotechnology company. Prior to that, she was a senior executive in the chemical industry and has extensive experience in the operational management of large scale, global businesses. Ms. Roemer holds a B.S. in chemistry from Miami University and an MBA from the University of Chicago. She has three grown children and enjoys travel, golf, and hiking with her dog. She joined the Board in 2015. Ms. Shepard recently retired as the President & CEO of California Coast Credit Union. She has board experience with Jack Henry & Associates (publicly traded for-profit financial technology company) Compensation committee and Governance Chair, CA Credit Union League, Children's Miracle Network, SD Credit Unions PAC, Richard Myles Johnson Foundation. She has a business degree from Mesa College in Colorado. Ms. Shepard enjoys spending off-time in Alaska where she and her husband have owned a series of second homes hosting friends and family. Ms. Shepard has served on the Board since 2015. Dr. Browning is MD who specializes in Orthopedic Surgery. He graduated from Dartmouth College with a BA in Chemistry; he attended Stanford University Medical School and completed his residency at the US Naval Hospital in Boston and Peter Bent Brigham Hospital, with a fellowship at the Children’s Hospital Medical Center in Boston. He has been an Orthopedist for the Kaiser Foundation Hospital for over 30 years and is a former Naval Aviator. He is married, with three grown children. He enjoys traveling and is a private pilot. He joined the Board in 2015. Dr. Clapper is the Regional Vice President at Anthem Blue Cross in Client Clinical Strategy. Dr. Clapper’s passion is for improving healthcare, both the patient experience and the quality and cost effectiveness through data. Dr. Clapper received an undergraduate degree from Stanford University, her medical degree from the Uniformed Services University and her Master’s in Public Policy Analysis from Claremont Graduate University where she focused on using LEAN on improving healthcare delivery. She has four sons and has lived in Coronado since 1983. Her husband is an orthopedic surgeon at Kaiser Hospital. Dr. Clapper has served on the Board since 2016. Mr. Finzi is a Senior Advisor to Credit Suisse, serving on the Investment Committees of Credit Suisse Direct Equity Partners and Hudson Clean Energy. Previously he served as Managing Partner of the Sprout Group, Credit Suisse’s venture capital affiliate and a General Partner of Merrill Lynch Venture Capital, which was merged into Sprout in 1991. Mr. Finzi is a member of the Board of Trustees of the Foundation Fighting Blindness. Mr. Finzi has a BS & MS in Industrial Engineering from Lehigh University, and an MBA from Harvard Business School. He has twin daughters, both college graduates, is fluent in Italian and his hobbies include fishing and cooking. Mr. Finizi has served on the Board since 2015. Jean-Claude "JC" Kyrillos is the Senior Vice President and General Manager for Qualcomm Life. In this role, he has responsibility for the company's worldwide operating units and driving operational excellence across the company. JC has 30 years of diversified business experience, including 15 years of executive leadership in the medical device industry in acute care, homecare, and diagnostics. Prior to joining Qualcomm Life, JC was the worldwide vice president and general manager of BD’s (Becton, Dickinson and Company) global Infusion Solutions business (previously SVP CareFusion). In this role, he led BD’s Alaris® infusion pump systems, including embedded and enterprise software with over $1 billion in annual revenues and ~5,000 global employees. Infusion pump systems are medical devices used to infuse drugs, fluids, and nutrition – predominantly for intravenous (IV) indications. 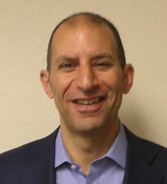 Before BD/CareFusion, JC was president, ResMed Ventures and Initiatives and previously Co-Leader for ResMed, Americas. ResMed is a medical device company focused on sleep-disordered breathing, including obstructive sleep apnea. JC was the 16th employee and later Chief Operating Officer of GeneOhm Sciences a venture capital backed molecular diagnostics company focusing on rapid response diagnostic tests for infectious disease. GeneOhm was purchased by BD in 2006. Earlier in his career JC held several positions at Honeywell International, including finance leader for a ~$500 mil in annual revenues electronic materials business where he was based for three years in Hong Kong. 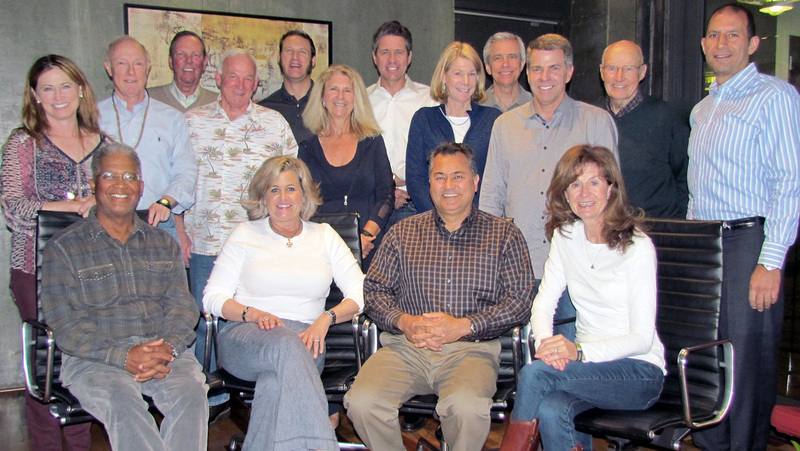 JC serves on the Board of Directors for the San Diego Blood Bank and the Sharp Healthcare Foundation. He earned a MBA from Harvard Business School and a BA with Honors in History from Colgate University. Ms. Benton is an entrepreneur and has experience managing both for-profit and non-profit organizations. She is the founder and board member for Vehicles for Change, Inc. a non-profit that awards automobiles to individuals who have secured employment, but cannot afford to purchase a vehicle. Ms. Benton is graduate of the Harvard Business School and serves on the board for the Moores Cancer Center at UCSD, the Sanford Burnham Prebys Medical Discovery Institute and the Humane Society. Ms. Benton has lived in San Diego for five years. She and her husband are very involved in serving the community. Dr. Schwendemann is an MD who specializes in Maternal-Fetal Medicine. He graduated from Albion College in Albion, MI with a BA in Biology and Chemistry. 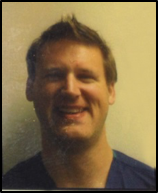 He attended medical school in Toledo, OH and completed a residency in Obstetrics and Gynecology at the University of Kentucky in Lexington, KY before his fellowship at the Mayo Clinic in Rochester, MN. Since completion in 2009, he has practiced with the San Diego Perinatal Center. In his spare time, he and his wife enjoy traveling and martial arts. 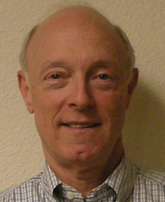 Dr. Schwendemann has served on the Board since 2011. Mr. Vongsawad, with over 25 years of experience in the financial services industry, is Chief Operating Officer of San Diego County Credit Union (SDCCU) – the largest locally-owned financial institution in San Diego, California. He holds a bachelor’s degree in Economics from the University of California, Irvine and is a graduate of Pacific Coast Executive Banking School. 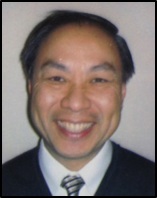 Mr. Vongsawad is involved in community and church organizations as well as serving on national and local committees in the credit union industry. He enjoys spending time with his wife and three sons in the mountains snow skiing and on the lakes water skiing. Mr. Vongsawad has served on the Board since 2011. Mr. Lowenberg is currently serving as an Executive Partner a Chicago-based private equity firm, Waud Capital Partners. He is the former Chief Operating Officer of Express Scripts and Chief Executive Officer of its Curascript subsidiary, the specialty pharmacy business. Express Scripts is one of the largest and most successful pharmacy benefit managers in the United States, a Fortune 100 company. During Mr. Lowenberg’s tenure at Express Scripts, the company’s revenues grew from approximately $150 million to nearly $20 billion. Earlier in his career, Mr. Lowenberg worked as an executive with both local and state governments in Arizona, including serving as the Executive Director of the Arizona Welfare Department. He moved from St. Louis to Coronado with his family in 2010. Mr. Lowenberg holds an MS in Public Management from Harvard, and a BS in Public Administration from University of Arizona. Marge Lorang is a native San Diegan and longtime blood donor. 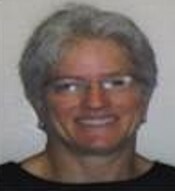 She served on the Board from 2010-2015 and returned in 2018. 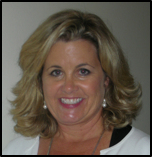 Ms. Lorang has served as the Vice President of EdUCate!, The University City Foundation for Public Schools. After receiving her B.A. in Biology from UCSD, she worked for many years as a bench scientist, mainly in neuroendocrinology and neuroscience, then briefly in academic publishing. Ms. Lorang is married to John Spinosa. M.D., Ph.D. and has two adult sons. Ram Yalamanchili is the co-founder at Lexent Bio, which is building novel liquid biopsy technologies to help change the way we manage cancer. In his previous experiences as an entrepreneur, Mr. Yalamanchili helped build a leading supply-chain finance bank with over 250 employees and 20 branches in India. He was the CEO/Founder of Push Computing, which pioneered predictive security and container technologies for mobile (acquired / IPO under MobileIron). Prior to that, he was an early engineer at VMware (top technology IPO - 2008) and architect for the ESXi product. ESXi hypervisor powers a majority of the cloud infrastructure today. He is currently an active investor and board member at several startups. Mr. Yalamanchili holds a B.S in Electrical Engineering (Hons) from Carnegie Mellon University, and a GCE Management Science from Stanford University. He joined the Board in 2018. Tim Scott is co-founder and CEO of TEGA Therapeutics, Inc. He previously was founder and President of Pharmatek Laboratories, a contract development and manufacturing company which he sold to Catalent Pharma Solutions in 2016. Mr. Scott serves on the Board of Avelas, a bioscience company working to create better outcomes for cancer patients with its activatable cell-penetrating peptide technology. Mr. Scott was a member of the Board of Zacharon Pharmaceuticals, a glycobiology company (sold to BioMarin). 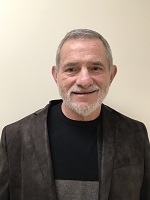 He is a member of the boards of BIOCOM, a non-profit organization supporting the needs of bio/pharma companies California and CONNECT, a non-profit helping to create and scale innovation companies in San Diego. In the community, he serves as a trustee for the La Jolla Playhouse, a Tony-award winning regional theatre in La Jolla, California. Mr. Scott earned his B.A. in Biochemistry from the University of California, San Diego. He earned his J.D. from the University of San Diego and is a member of the California Bar. He joined the Board in 2018.